Leeks can be a little tricky. 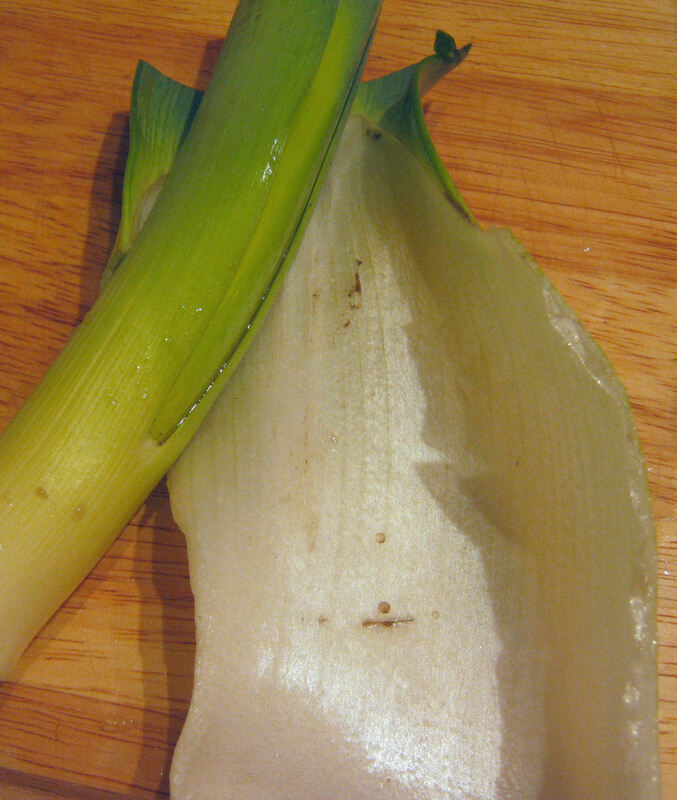 Much of the leek is too tough to eat and needs to be cut away, and the insides are typically very dirty and need to be washed very well. Here are some tips to make this process a little easier. 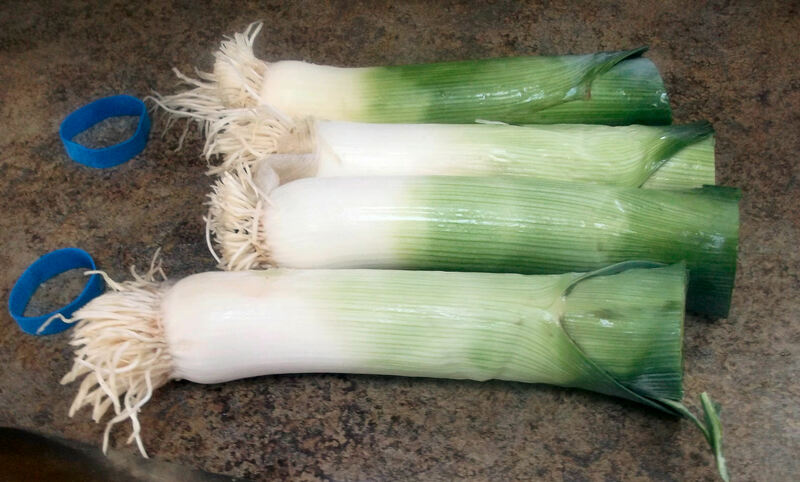 Start by cutting off the top half, the darkest green part of the leek. Throw this away, or save for another use, if you have one. Pull off the outermost layer and throw it away. Peel off the second or third layers, too, if they are tough. Throw these away as well. 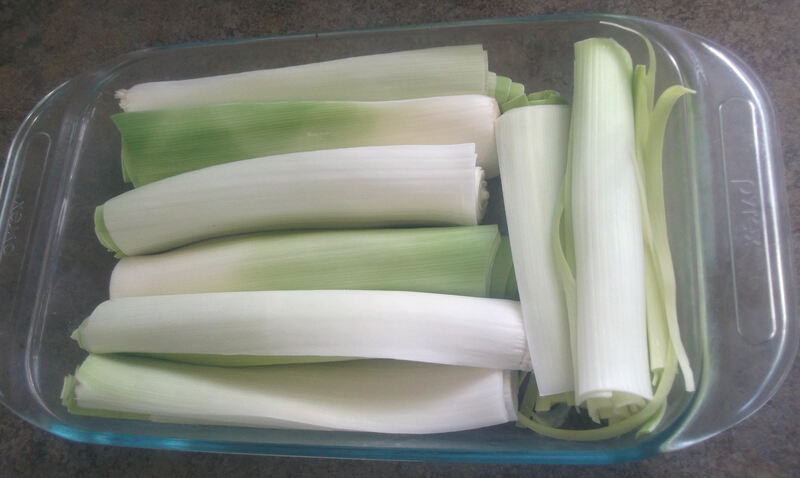 Next, slice each leek in half, lengthwise. 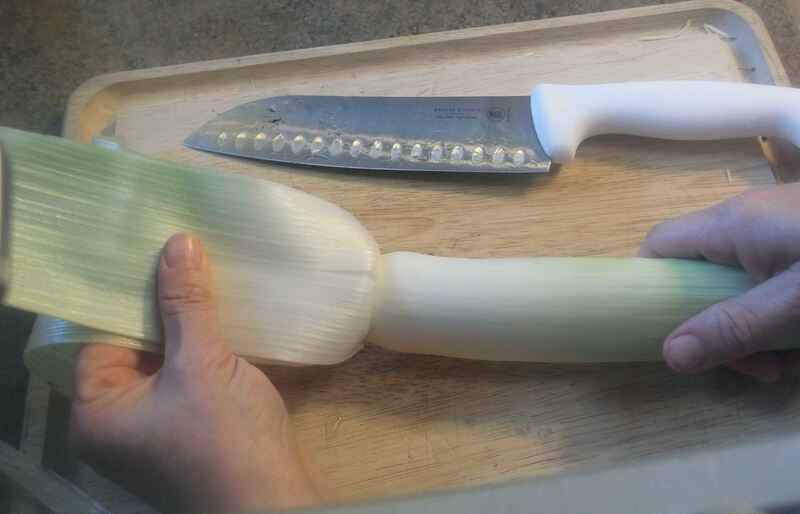 Hold the leek carefully so it doesn’t roll while you’re cutting it. Hold the knife carefully as well, keeping it away from clumsy fingers. Trust me: I speak from experience. 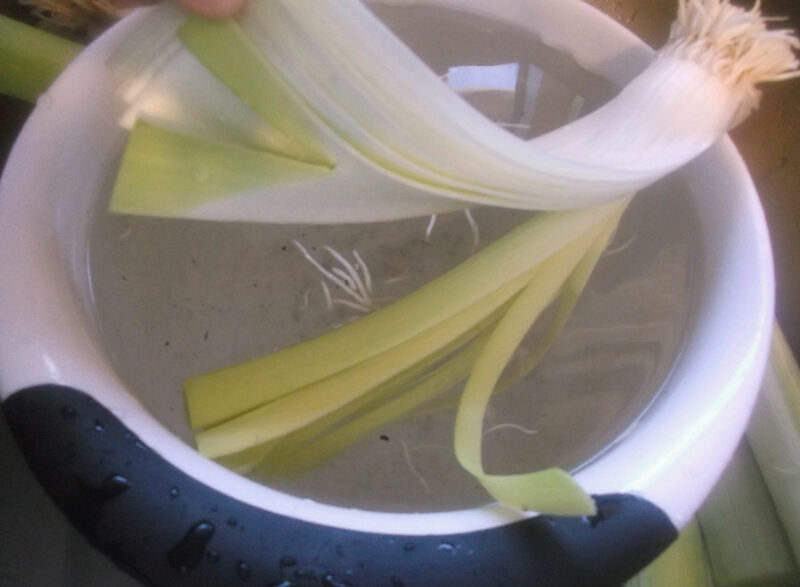 Place the trimmed leeks in a bowl of water, swish them around a bit, and fan each “leaf” to rinse every layer. This step is really easy with enough of the root left intact to hold it all together. If the water becomes dirty, which it likely will, just pour it out and refill with fresh water. 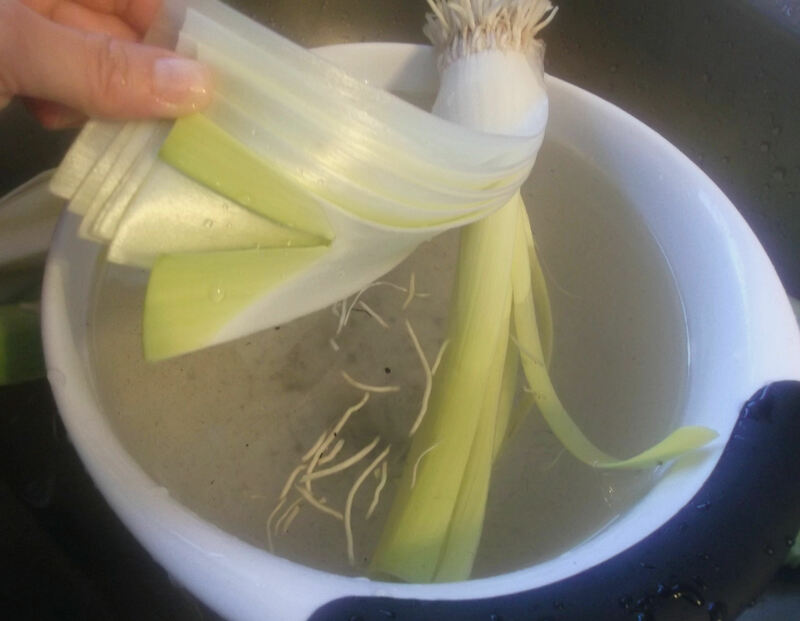 Continue rinsing, swishing, and fanning the leeks. 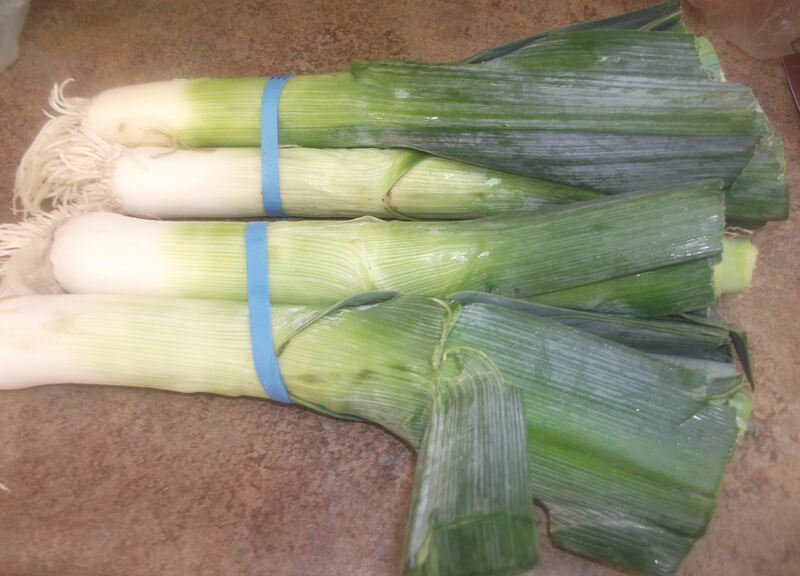 Pat the leeks dry with a paper towel, and they are ready to be used. Cut them or trim the root end as needed. For this recipe, I leave them intact and braise them in the oven.